Located in northwest Florida, Eglin AFB covers 724 square miles of reservation and 97,963 square miles of water ranges. Eglin AFB is bordered by Crestview in the north, Niceville & Valparaiso in the east, Fort Walton Beach, Mary Esther, and the Gulf of Mexico in the south, and Navarre in the west. In 1931, personnel of the Air Corps Tactical School sought a location for a bombing and gunnery range. They saw the potential of the sparsely populated forested areas surrounding Valparaiso, Florida. As a result in 1935 Eglin AFB was established as the Valparaiso Bombing and Gunnery Base. 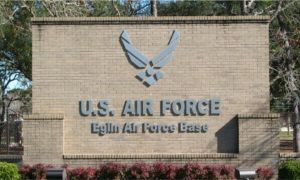 Eglin Air Force Base was named in honor of Lieutenant Colonel Frederick Eglin, who was killed in a crash. At its peak during World War II, the base employed more than 1,000 officers, 10,000 enlisted personnel and 4,000 civilians. Today the host unit at Eglin is the 96th Test Wing which is the test and evaluation center for Air Force air-delivered weapons, navigation and guidance systems, Command and Control systems, and Air Force Special Operations Command systems. Also Eglin Air Force Base is an Air Force Material Command (AFMC) base serving as the focal point for all Air Force armaments. While also being responsible for the development, acquisition, testing, deployment and sustainment of all air-delivered non-nuclear weapons. Also Eglin AFB is the home of the McKinley Climatic Laboratory. Aircraft and other equipment are tested under sever weather conditions at this facility. Co-located on base property also is the Destin – Fort Walton Beach Airport (VPS). This makes Eglin AFB one of the few military air bases in the U.S. to have scheduled passenger airline service. 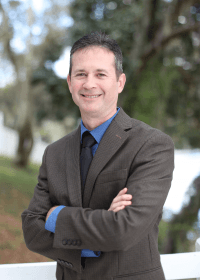 If you are PCSing to Eglin AFB, Hurlburt, AFB, Duke Field, or Destin Coast Guard Station and have questions or need real estate assistance call me anytime 850-499-0778.